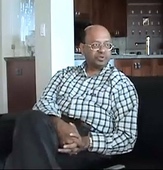 Dr. Keskar was born in 1954 in Rajkot, India. When he was young, his family moved to Amravati in the state of Maharashtra where Dr. Keskar completed his early schooling. Dr. Keskar received his bachelor's degree in Mechanical Engineering from Visvesvaraya Regional College of Engineering, where he was a Gold Medalist. Dr.
Jafar (Jeff) Siddiqui was born in Peshwar in the North-West Frontier Province of Pakistan shortly after the Partition of India and Pakistan. Having grown up in a military family, Mr. Siddiqui lived in various parts of Pakistan and completed his university education in engineering at Sind University in Jamshoro. After his degree, Mr.
Jamal Rahman is a Muslim Sufi minister originally from Bangladesh. 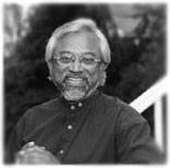 He is co-minister at Interfaith Community Church in Seattle, Washington, co-host of Interfaith Talk Radio, and adjunct faculty at Seattle University. Jamal travels often and teaches classes, workshops, and retreats locally, nationally, and internationally. 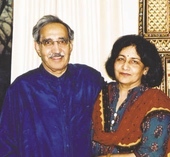 Dr. Najma Rizvi was born in Bangladesh in 1938. She grew up in the capital city of Dakka and studied there until she completed her Masters degree in Geography. She came to the United States with her husband in 1959 to further her studies. She returned to Bangladesh to teach and live there until she returned as a permanent immigrant in 1969. 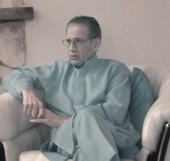 Dr.
M. Owais Jafrey was born on January 4, 1941 in Bulandshahr, India. He was sent to join the Intermediate College at Meerut and went on to joined the Muslim University, Aligarh, a prestigious Indian institution for higher education. After his BA, he migrated to Lahore, in Pakistan, where he worked as a sales assistant for Batala Engineering Company, and later joined Nawa-i-Waqt, a daily newspaper. Santosh Wahi was born in Northern India and was the daughter of an Indian diplomat. Because of her father’s postings, she lived in Delhi, Holland, and New York City by the time she graduated college. Mrs.
Dr. Shalia Kode grew up in Belgaum, which is in Karnataka state in India. 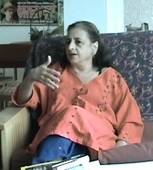 Her family moved to Mumbai in 1966 where she started at Grant Medical College. She lived with her family in Goregaon until she fulfilled her father’s dream of her becoming a doctor. After that, she spent two years as a physician in a rural primary health center in Ratanagari. Dr.